The year is now. Islamist terrorists hack into America's defense networks, launch chemical weapons attacks on Western cities, and stage a raid on nuclear storage facilities in Pakistan. They are using a massively multiplayer online video game as a platform for planning and rehearsing their attacks - forcing a squad of supremely elite Delta Force operators to go inside the game to fight them. These weapons, tactics, tech, and 21st-century warriors will be unlike anything you've ever heard of before. 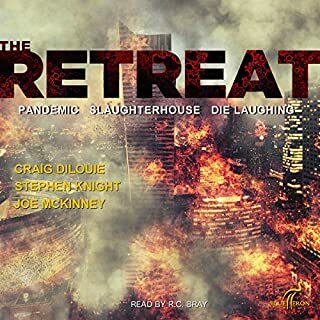 I had already read the omnibus collection of books 1-3 but it turns out it doesn't really matter if you read this story afterwards because it may be more fun to not reveal the origins of the apocalypse too early. The story also ties in well with things towards the end of book 3. Hopefully the storyline in this book will converge with the others in book 4. I always feel that the start of the apocalypse is the most interesting of any series, how the zombies take over the world. The story is out of the eyes of Zach who, although he is well trained, he is really still just a civilian. Because of that, it is easier to identify with him than the super hero like tier-1 operatives who are assigned to protect him. And protect him they do. Again and again. Briefly, the the story is they that they have to flee on the highway and get to their main base and being in a foreign country, they can't trust anyone and everyone is shooting at them. Or biting. Story is interesting all the way through and maybe the only thing lacking is a female character and anyone hint of romance or family whatsoever. Just bromance in this one. 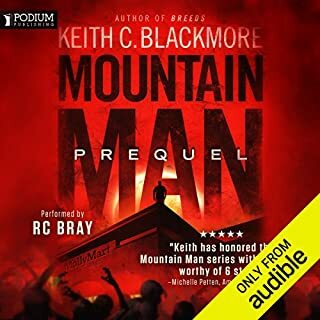 Narration by R.C Bray is amazingly good as usual. EASILY. This is by far the best I have listened to yet. I have said this before, but all those books were before this masterpiece. 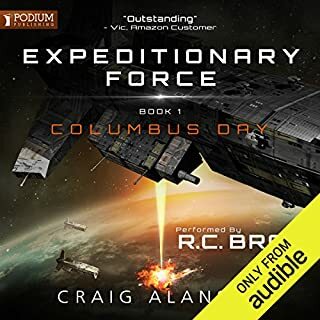 If you had the opportunity to experience stories like Day by Day Armageddon and thought it was a great listen, I guarantee you will absolutely enjoy this lead into what I'm sure will be an OUTSTANDING series. Very nicely done all around and easily deserving of all five stars and any phrase you can think of to express excellence!! Story line, narration, terminology (sounded like the author knows what he is talking about), character development, and story flow. Everything your looking for in an audible experience. Who was the most memorable character of Arisen, Book 0.5 and why? I'm counting down the minutes until my pre-order is downloaded, I can't wait! Slow start, but SO worth sticking with!! R.C. Bray is worth the price of admission alone. 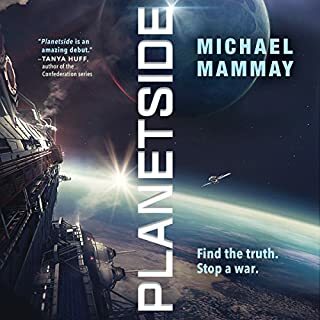 He's now an Audie-nominated narrator (check out The Martian to find out why), and it really shows here. I simply couldn't imagine a better fit for this material. Just brilliant. For this genre, this one does take a while to set up the story before getting to the action. But honestly, you won't regret sticking with it! The long lead in only serves to make it so much more engaging once it takes off. There is a strong military component, with lots of detail regarding military tactics, lingo and weaponry. The group the story follows is comprised of CIA and Navy Seals. And their struggle for survival as the s**t hits the fan feels very realistic. There is also a nice philosophical element about humanity's tendency to destroy itself. And a great explanation on the origin of the virus. I didn't realize at first that this is part of a much larger series. But it stands on its own 100%. Beautifully done by the author! It's completely fulfilling, but leaves you excited for more at the same time. Very nice. Though a prequel it is a good lead to the rest of the series. it does make you want to really get into the next book badly. I am a huge fan of the remaining series and this makes me put down captain Harden for a little to get this series. Even though this is technically "Book 0.5", I listened to all the other books before listening to this one. If you listened (or read) all the other books, each book sort of gives bits and pieces of the beginning as the main characters piece together what happens, so reading or listening to Genesis isnt completely necessary. There were only a few, non critical, story pieces that this book fills in for the listener. Overall, it was a good book, but nothing spectacular. Its only a matter of time! 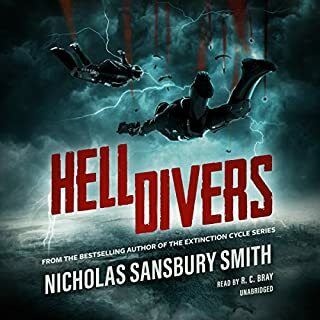 There is no way you will not enjoy this story ....this iincludes a great narrator along with a writter , if i didnt know i was reading fiction i would be buying out every weapon and piece of ammo in my town. If you could sum up Arisen, Book 0.5 in three words, what would they be? The Narration by R.C. Bray He makes the characters come alive and he does some great voices. R.C. 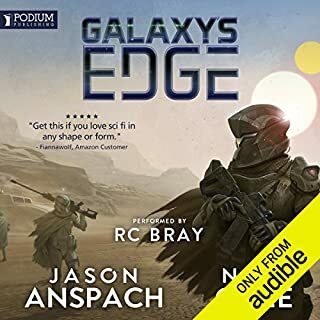 Bray is my favorite narrator and I have enjoyed every book he has done! Maximum Bob! He sacrificed his life to get the rest of the team from the Zombies. Favorite Line (Not from Bob) "I'm only here to drink beer & F#$% fat chicks"
Great Narration Look up R.C. 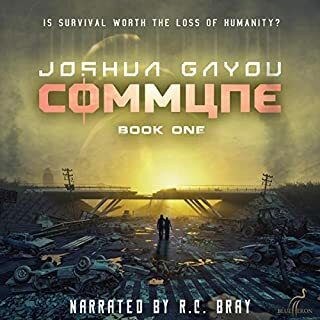 Bray in audible search and buy other books he has done! You will not be sorry. 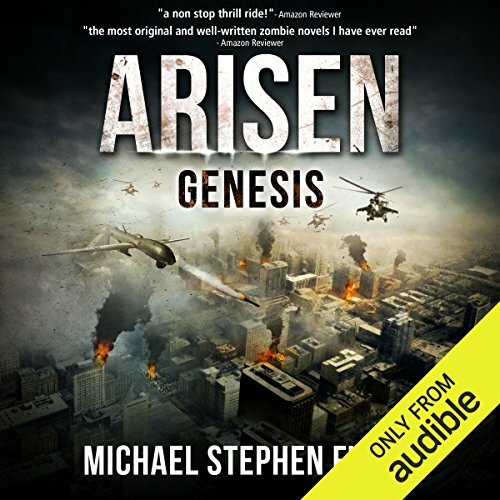 I devoured Arisen: Genesis like there was no tomorrow. But not at first. Not sure what I was expecting the beginning to contain. The first third of the story was the only place where my attention was swayed. Characters have to be built up in the listeners mind for anything to make sense, I get that. Things have to be put into motion for the impeding apocalypse to being, I get that too. But I hung in with it and once the action started it didn't stop and I was all in. Slowly the soldiers began to realize that they were dealing with the undead and not simple civil riots or a rebel invasion. Political and civil unrest surrounded a small CIA outpost in Africa. Strange reports of sicknesses started coming in. Zack Altringham, an analyst, didn't think much of it. Until a horde as at his doorstep. Suddenly he and a small band of SEALs, thank God for them or he wouldn't have stood a chance, are fight for their lives against zombies and rebels. The thrill ride continues from here on out. Commandeering and armed drone and with all of the supplies and ammo they can carry. They make their way to safety. 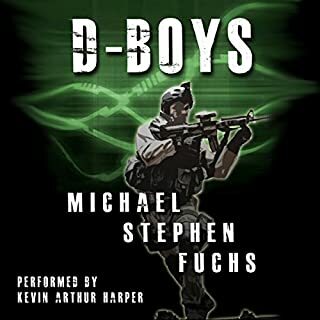 Even though I have never been in a battle nor in the military Michael Stephen Fuchs was able to bring me into the band of brothers. Making me feel as if I were there experiencing everything happening around me. He was able to create dynamic military men not the simple minded stereotypical grunts. I was able to connect with them on a level that only a really good writer can create. I was stunned by the performance of R.C Bray. 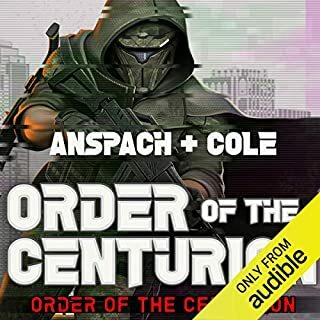 This is a narrator that I really enjoy listening to. Who, in past audiobooks, wasn't the greatest at pulling off a large character base. Yet in Arisen: Genesis he was able to pull off not only several characters interacting. But other languages, and different African accents. Helping Fuchs develop his characters even faster. Once again Bray shows what he is made of and delivers a spot on performance. Full of high intensity emotional outbursts and action sequences that kept glue in my ears. Every word clear as day, no clicks, hums, buzzes or anything distracting. I will continue to devour Bray's future and past performances with gusto and delight. It brings me comfort knowing that I have many more of his works in my queue just waiting for me to get to them. Good, but too short. I'm looking forward to rest of series. It was okay to read this after Books 1 -3. Now I'm waiting for credits to listen to Book 4. Love this series. it's none stop action is perfect for long drives. I can't wait to hear the next book in the series. If you like this kind of thing (and I have discovered that I do) then you'll like this. 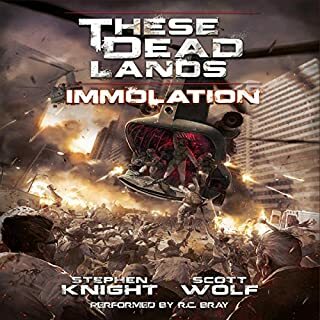 Good, fast paced zombie action seen through the eyes of a Special Ops team with excellent narration from RC Bray. This short book gives the background to the main "Arisen" series and can be used as a good taster. However, it's worth considering not reading this one first. I read it between books 5 and 6 as an example and I would suggest it's better this way as the back story means more by then. From other reviews it seems this does stand alone but I genuinely enjoyed going back to the story that until then had just been hinted at. Your choice of course, but either way it's a credit well spent. Having read all the Arisen books I was interested to see how this solo effort by Fuchs would fit in and workout. As usual the performance by RC was impeccable, though a few of his accents sounded a bit strange, but what the heck, he is so good at what he does. The story is pretty lean and well written with good momentum. It gives the background to the ZA and fits in well with the storyline in book 7. The book is so filmic and has such a strong visual aspect to its narritive that I would not be surprised if its snapped up by a film company. A screenplay would fall out of this story with few problems. 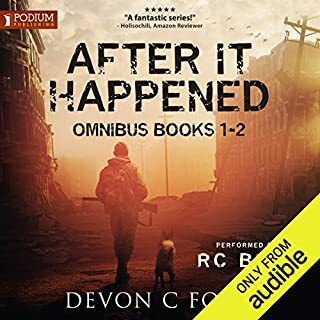 One of the best narrated audiobooks I have listened to. A great story brought to life by an excellent vocal performance. What was one of the most memorable moments of Arisen, Book 0.5? I'm up to book 8 at the moment and then went back to book 0.5. if I could do it over I would start thus book after book 5 or 6. Set near the start of ZA, this is another great book in Arisen series. Although it's a stand alone story and yes can be read at any point. I listen to it after book 7 as somethings that where stated and others that were hinted near end of book 7. Made me believe it may tie in with what coming in next few books.